The Clean Water Act is widely considered to be one of the most successful pieces of environmental legislation in U.S. history, and the Academy of Natural Sciences is proud to have played a role in drafting it. For that reason, we are concerned to see that the current U.S. administration is moving to revise and weaken a key regulation of the act that protects wetlands and small streams. The proposed changes in regulations known as Waters of the United States would redefine these waterbodies and remove many ephemeral streams and wetlands from protection. While this would open more land for development and expand business opportunities, the impacts on both people and nature – including long-term economic costs – could be incalculable. One of the reasons the Clean Water Act has been so effective is that it addresses threats at all points in the water system. It’s been especially important that wetlands are protected, as they are nature’s “water treatment system.” They perform a wide range of important jobs including cycling, filtering and storing runoff. Many wetlands, in turn, connect to small, often ephemeral, streams. Together, ephemeral streams and wetlands are the underpinning of the nation’s freshwater systems. About half of the nation’s wetlands have been destroyed in the last 100 years. Enforcement of the Clean Water Act has slowed this rate of loss, but it would likely accelerate if more miles of streams and acres of wetlands lose their protection. Because of our concern on this issue, the Academy recently joined with the William Penn Foundation and the Open Space Institute to write an opinion article in The Philadelphia Inquirer questioning this change in policy. 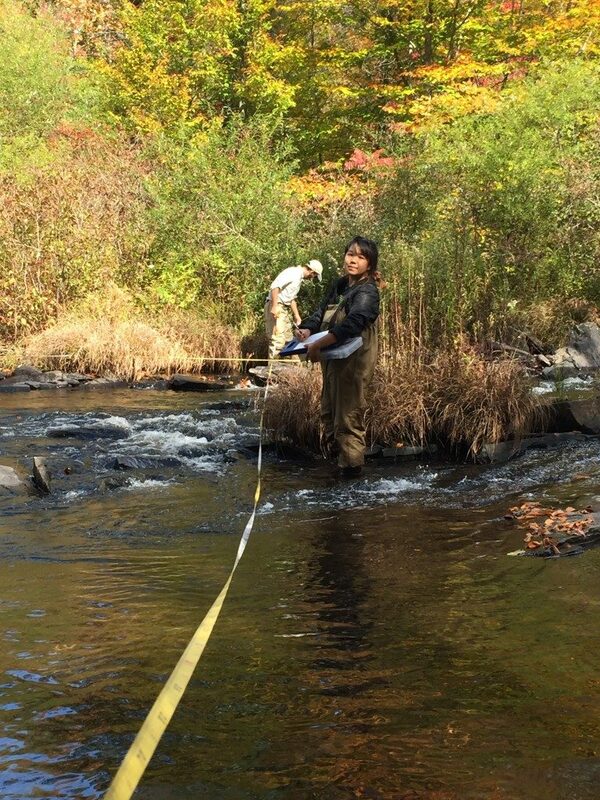 Along with many other partners, our organizations have been involved in a long term, comprehensive effort to conserve and restore the waters of the Delaware River Basin. 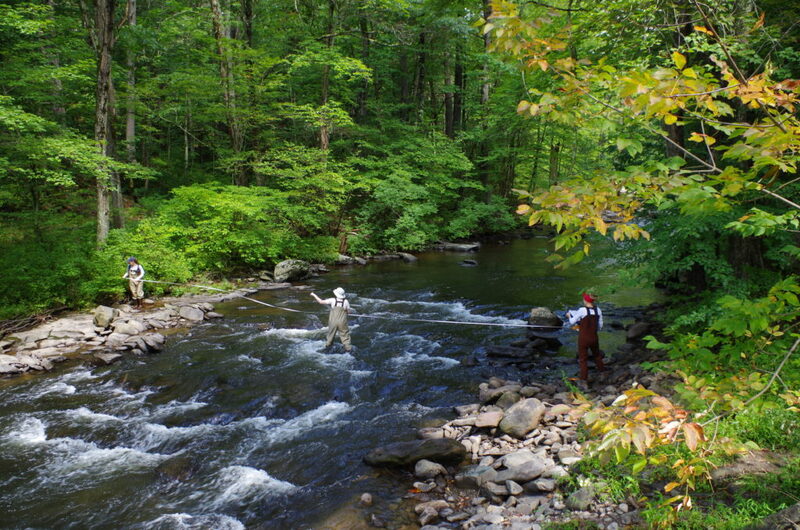 That initiative is the Delaware River Watershed Initiative. For over 70 years, the Academy has been working to understand and protect freshwater systems. We are speaking publicly about the Waters of the United States issue because we believe that effective federal protection for the wetlands and ephemeral streams is essential to our work and to the long-term integrity of waterways everywhere. People have forgotten that just 50 years ago the Delaware River was so polluted from industry and sewage that airline pilots could smell it as they were landing in Philadelphia. As the river is also the source of the city’s drinking water, drastic and costly treatment was needed to make it potable. The dramatic improvements in the river’s condition over the past half century are the direct result of the Clean Water Act. Today, even as pollution of this kind has been reduced, our waterways remain under threat from a combination of development, agricultural runoff, and polluted urban stormwater. Now is not the time to be weakening the Clean Water Act, but rather the time to appreciate the critical role it still plays in protecting one of our most crucial resources. On March 4, the Academy will present an Academy Town Square entitled “Tomorrow Is Now: How Will We Survive a Changing Climate?” This panel discussion is free. To see the speakers and to register to ensure a seat, click on this link today. Maintenance of and, where opportunities for restoration exist, “recreating” former natural environments is an objective that belongs among the most worthy of any that can be pursued. Not for the first time, one is reminded that a supposedly healthy economy is merely a means to an end – not an end in itself. Economics (and politics, if employed ethically) is only a mechanism for achieving, and sustaining, whatever makes life worth living (notably, nature undegraded by human activities, and art in the widest sense).